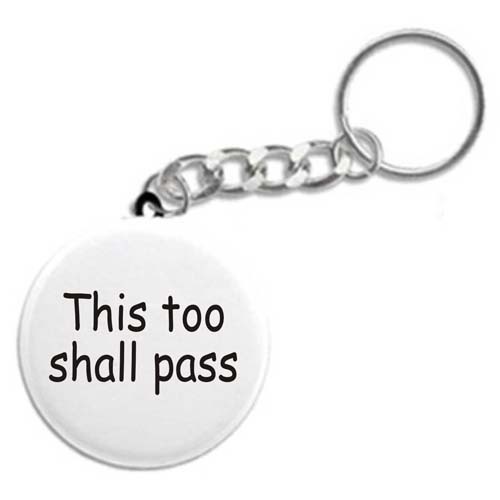 This Too Shall Pass Keychain - Recovery Key chains, Key Fobs, and fun 12 Step Gifts! A special recovery keychain for anyone in the program! Excellent for newcomers and old timers alike! As challenging as any moment might be, it's a reassuring reminder that "This too Shall Pass."